Let us, the faithful, praise and worship the Word, / coeternal with the Father and the Spirit, / born for our salvation from the Virgin; / for He willed to be lifted up on the Cross in the flesh, / to endure death, / and to raise the dead // by His glorious Resurrection. We need a volunteer to water the plants in the garden outside the church once a week. Macrina (who has been responsible for that on Wednesday evenings in the past) is not able to do it for a while. Please coordinate with her if you are willing and able to serve the parish in this way. Suffering is the surest sign that man is specially chosen by God. He Who showed His love for us to the end through His suffering unto death grants us the possibility of suffering for His Name’s sake, that we may be more perfectly united to Him. “Unto you it is given in the behalf of Christ, not only to believe on him, but also to suffer for his sake” (Phil 1:29). If someone turns to God when he is sentenced to death, God will surely hear him. The thief was the first to enter Paradise, not simply because he said, “Remember me, O Lord…” but because he pronounced these words on the cross, at the very moment when his life was suspended over the abyss of eternal darkness. If we, as humans, respect the wishes and last words of the dying, how much more does God hear the pleas uttered by them that turn to Him in faith when they are confronted by death! Those who are at death’s door pray differently; they speak from the very depths of their hearts, even though they may not be consoled or aided by grace. 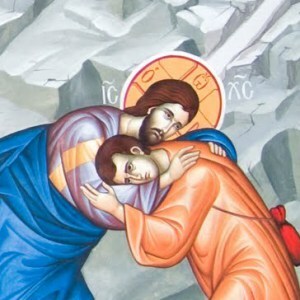 Whatever form of death I am stricken by, be it illness, persecution or God’s withdrawal of His grace, if I gather strength enough to stand and say, “Glory be to Thee, O Lord: to Thee be all justice, to me all shame for my sins and transgressions”, God will ensure that my faith in Him shall conquer. In times of crisis, man reviews his whole life and can no longer fall into superficiality or light-heartedness. His mind concentrates on a single thought. He speaks to God in utter seriousness, and this is exactly what God awaits and longs for. When man cries from the depths of his heart, his lament reaches the ears of God and all Heaven hearkens unto him. 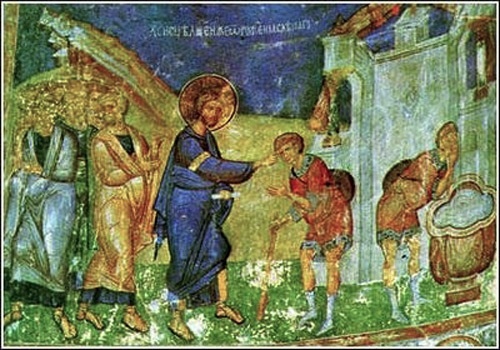 The Lord sees in him the humility of Zacchaeus, the faith of the Canaanite woman, and the poverty of the blind man who cried out with all him might, “Jesus, Son of David, have mercy on me.” And the Lord will draw near him and ask, “What wilt thou that I shall do unto thee?” This is the question the Savior puts to all of us who are poor and blind, and sit by the wayside. The crowd, that is, this world and its deceptions, will rebuke us and discourage us from calling upon the holy Name of the Son of God.